Today’s announcement of a new ‘national high performance plan’ from Rugby Australia was yet another disaster typical of the sport’s administration in the past few years. Rugby Australia have merely re-arranged the deck chairs on the ‘Titanic’ Wallabies. They have refused, once again, to make the root-and-branch changes to the side’s coaching staff that is desperately needed after this year’s series of disastrous losses. The real issue with the Wallabies right now going into the 2019 Rugby World Cup tournament is Michael Cheika’s – and his staff’s – unacceptable coaching performance. Just look at Nick Bishop’s analysis of how poorly the defence is set up, wingers having to cover far too much ground to be effective, to see the poor play and poor record of the Wallabies is a direct result of abysmal coaching. This starts at the top. If Nick Bishop can expose how stupid and self-defeating the Wallabies’ defence is, why hasn’t Cheika realised it? The Wallabies’ attacking systems have been just as abysmal and unsuccessful as their defensive ones. Warren Gatland noted after Wales defeated the Wallabies at Cardiff some weeks ago that this was the first time in his stint as Wales’ coach his team did not have to sweat over the Australian attacking plays. The clear inference going into this review by Rugby Australia was that there was going to be a shake-up of the coaching staff. But you wouldn’t know what this shake-up is going to be, or even, heaven help us, whether there is even going to be a shake-up, from reading Rugby AU’s press release or watching Cameron Clyne and Raelene Castle front the media today. After overseeing a year in which the Wallabies won just four of thirteen Tests, you would have expected to see Cheika removed from his role as head coach, or at the very least had assistant coaches Stephen Larkham and Nathan Grey shown the exit. But rather than make the hard yet correct decision, Rugby Australia have instead issued only meaningless words to soothe fans fed up with the team’s performance. It’s typical verbal nonsense. The rugby public in Australia will not accept this gutless decision to refuse to make the hard decisions necessary to re-vitalise the Wallabies and their quest for a third Webb Ellis trophy next year. The right move would have been for Cheika to be sacked and a short-term replacement brought in to ready the side for next year’s Rugby World Cup. The point here is that since Cheika took over the Wallabies, the team has been his. He has run the selection and coaching of the Wallabies his way. The appointments of the coaching staff have been his appointments. His attacks on referees, which have been so damaging to the Wallabies brand, have been his attacks. His continued appointment of Michael Hooper as the Wallabies captain, even though his place in the side was in jeopardy (or should have been) when David Pocock returned from his well-paid long service leave, has been his appointment. Why wasn’t Will Genia given the captaincy? Why is there nothing in Rugby Australia’s non-statement about the repercussions for Cheika’s repeatedly poor selections? Too often over-the-hill players have been handed Test caps they do not deserve. A selection panel – we don’t even know who the final member is – is unlikely to rectify much of this, as the coach will surely still have the final say. Why haven’t Rugby Australia sorted out who this third selector will be anyway? 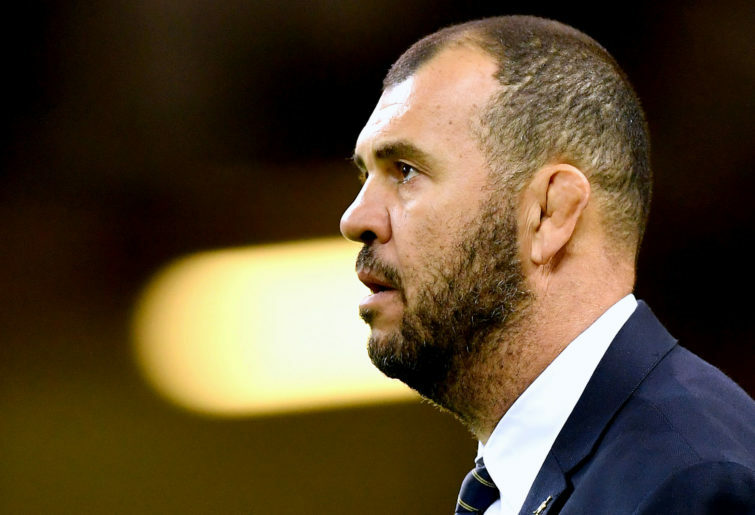 Where are the repercussions for Cheika’s repeatedly poor behaviour in the coaching box? The Wallabies were once one of the most respected teams in world rugby, but are now one of the most loathed, especially among referees, due in no small part to Cheika’s boorish conduct and referee-bashing. Where are the repercussions for Raelene Castle’s poor performance, after she signed Michael Hooper to a five-year deal? Don’t forget the back-ended contracts handed out to players while she was CEO of the NRL’s Canterbury Bulldogs, although she has denied being the “architect” of that club’s salary cap woes. Announcing a high performance plan is yet another fudge. Six years ago the then-ARU dismantled the previous high performance system. Today’s announcement is painfully short on details regarding the new set-up for a reformed high performance unit. Will the present incumbents remain, for instance? 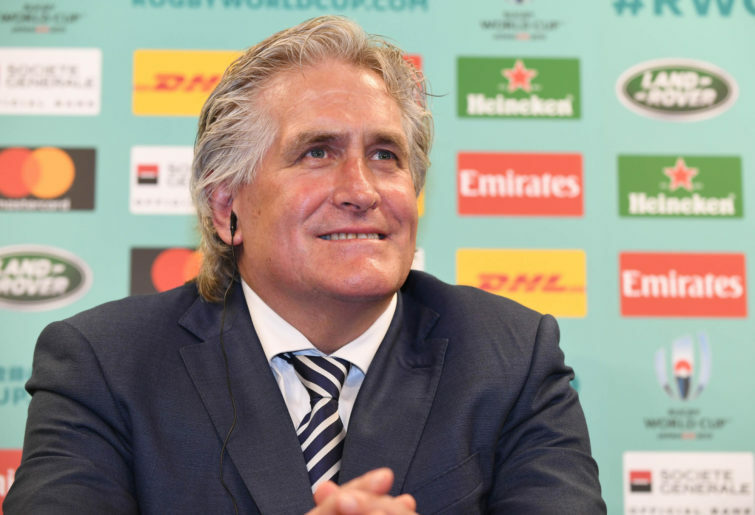 It’s also hard to see what impact Scott Johnson will have as the new director of rugby unless he has control over who he can appoint to a number of crucial jobs. Johnson’s success in Scotland came about because he had the support of the coaching staff there. 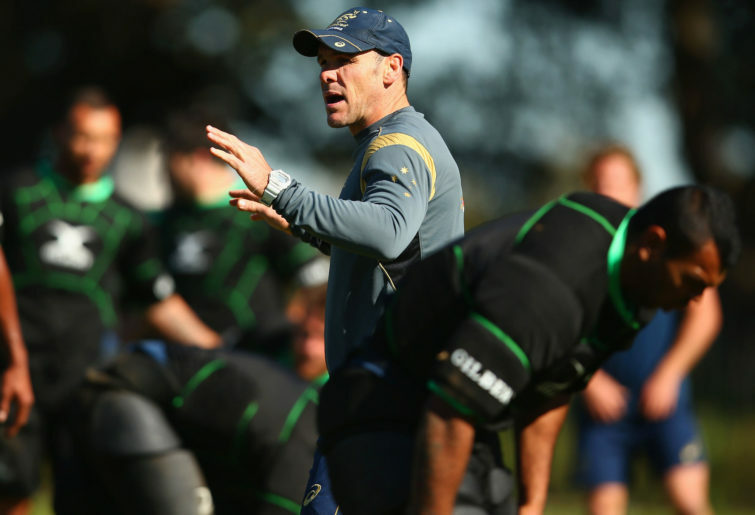 Will Cheika really listen to him? There is no evidence that Cheika listens to anyone. He doesn’t seem the type to take advice from a bureaucrat-type figure, and if he doesn’t, Johnson will have little effect. Really, all of today’s announcement demonstrates a complete misunderstanding of what’s gone wrong with the Wallabies. Rugby’s administration on and off the field in Australia has been breaking down for years, and today won’t fix that. It won’t even paper over the cracks. What is needed to save the Wallabies and re-establish support for rugby in Australia from the heartland is nothing less than a clean-out of the board and chairman of Rugby Australia, along with the CEO and numerous staffers and advisers in head office. That clean-out needs to come next April at the annual general meeting. As for the Wallabies and Cheika, all we can say is it’s astonishing that nothing, seemingly, has been done to change the coaching set-up. Even more astonishing is that Rugby Australia have not even tried to explain to the long-suffering rugby public just how the current dysfunctional coaching set-up of the Wallabies is going to be improved going into a crucial Rugby World Cup.